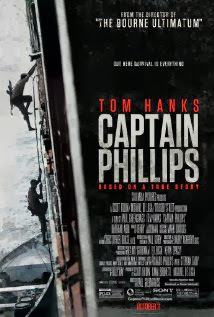 Captain Phillips is the (hollywood-ised) true story of a ship captain who's freighter was captured by Somalian pirates off the horn of Africa in 2009. Captain Phillips opened with some heavy Sony product placement; but then again this is a Sony Pictures film, so it's expected. 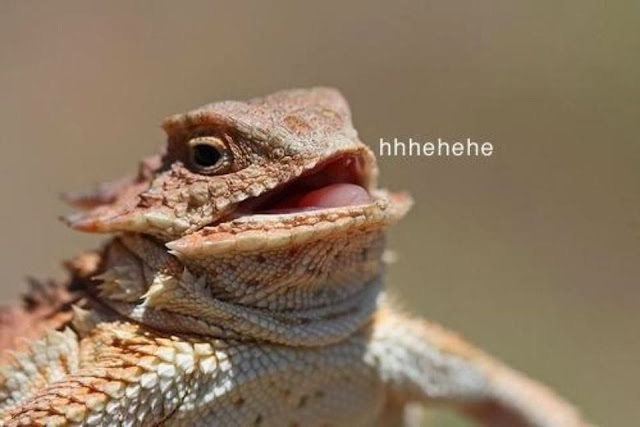 But then Maersk comes in. From just every email in Phillip's mailbox saying Maersk Shipping to whole 5 second shots of every container on the ship saying MAERSK (yes, there was more than one), the company in thrown in your face to a ridiculous level. I'm going to be honest here and say that (and I'm not sure about any of you out there, but) that level of obnoxious product placement would turn me personally to a competitor in a split second. Now that unpleasantness is over, Captain Philips was a genuinely good movie with a great story and a surprisingly good cast. Tom Hanks was amazing and on form as always, but the Somalian 'refugees' cast as the pirates really stole the show. While Muse (Abdi) was good as leader of the pirates, it was Faysal Ahmed's crazy second-in-command Najee that really rocked the boat. While the movie was indeed tightly wound, it was in the third act that the tension really started. I won't spoil it, but the spotlight really is turned on the Somalis from now on, with T.Hanks just looking broody and planning things. Muse seems to take less of the centre stage, while Najee really shows how insane he is. From threatening Phillips to even threatening his own crew, all while his eyes bulge creepily every time a threat is made, Najee really becomes frightening and the type of villain that you just hate and he's fantastic at that. This is just the start of "The Bulge"
The American Navy and SEALS feature heavily in the fourth act, but much to my surprise they were actually portrayed to act as they would instead of the pandering way the SEALS were shown in the likes of Zero Dark Thirty. While the Americans weren't all gentle and quiet, the also weren't the MURIKA F YEAH that is the standard if the democratic version doesn't work in the film's setting. 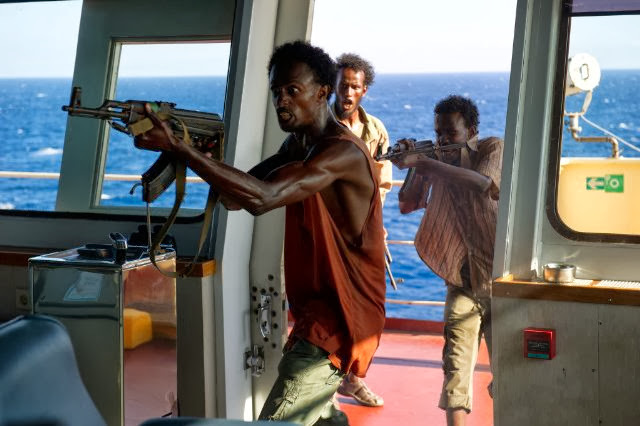 In the real events the Somalian pirates were actually just teenagers commanded to sack and sell ships by a Somalian warlord named Giraad, but this fact seemed to be very glossed over with maybe 2 or 3 mentions, and this ultimately led to me feeling no sympathy for the actor's characters.